With seaworthy hull lines inspired by traditional lobster boats, high tech but easy to use materials and styling that isn't amateurish, this is a unique plan for amateurs. 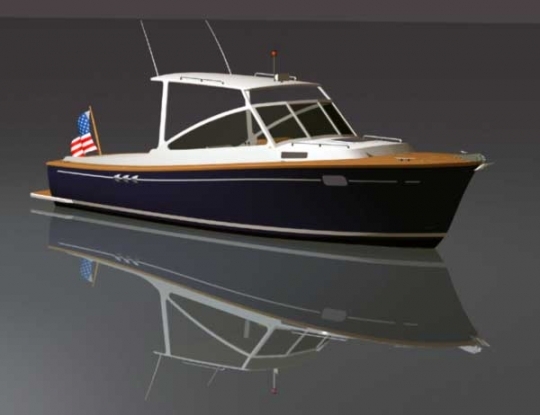 The LB26 will be equally successful as a fishing boat, day boat, or weekend cruiser. 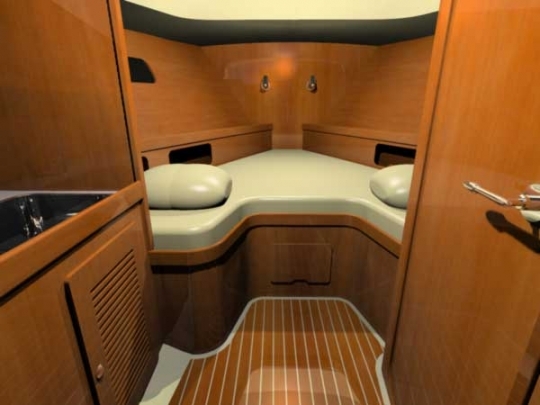 Her sharp looking hull will produce a good cruising speed and a soft ride. This boat is just right: not too big to handle and not too small to go offshore. Despite her relatively light weight, her scantlings are generous. The LB26 is not only designed to look like a seagoing vessel, she is built to be a seagoing vessel. Compared to other boats in her category, the LB26 is light and sturdy. This allows her to go fast with an economical and compact 200 HP engine.